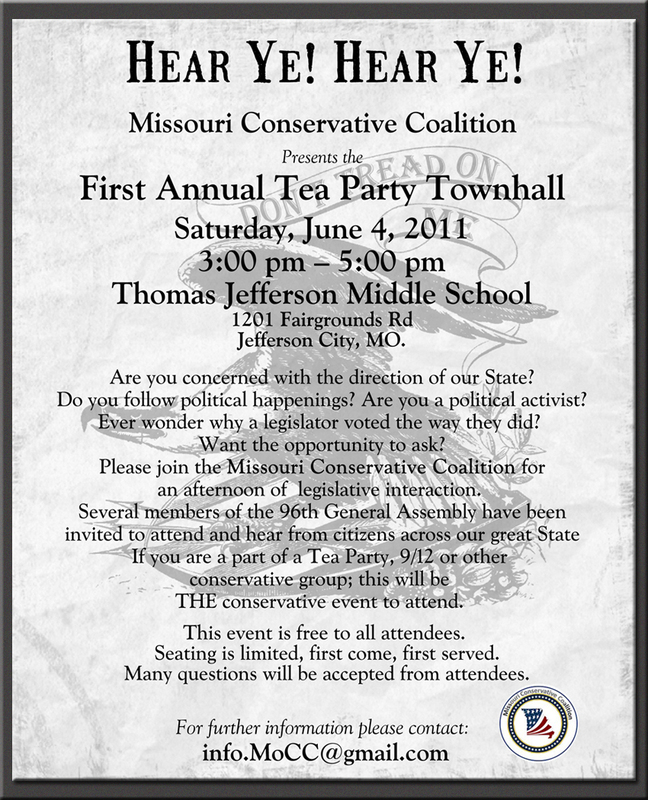 Missouri Conservative Coalition sponsors the first annual Tea Party Townhall and invites you to bring your family, your questions and your concerns. 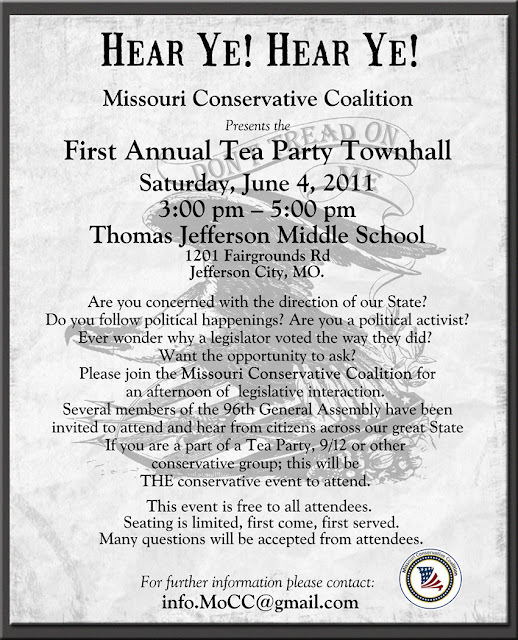 Come and meet Missouri members of the 96th General Assembly, the men and women who make our laws and be a part of the conversation about the past 2011 session and what legislation is being worked on. 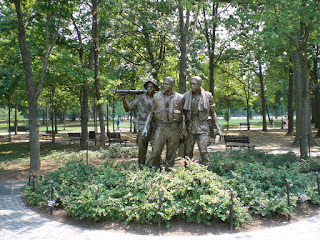 Included in this post are some pictures I took a few years ago on visits to Washington, DC. and Normandy, France. All of these remind me of the enormous cost of freedom and, with Memorial Day once again approaching, I thought I would share them here. 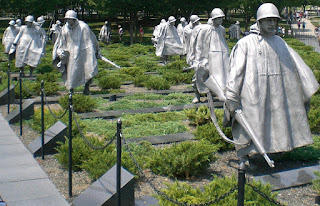 I'd also like to offer a few reflections on Memorial Day. I have a confession to make. I haven't always appreciated our honored fallen, our vets, or even freedom itself. I used to, at best, take all these things for granted. When the old vets carried the flag by in the Labor Day parade, I would remain seated, hat on my head. I wasn't deliberately being disrespectful. It was perhaps worse than that. I was indifferent. Never having been in the military or in combat, I didn't appreciate either those who had been or the many blessings I enjoy because of what they have done. But, when I saw "Saving Private Ryan" for the first time, that all began to change. It wasn't the storyline that affected this transformation but rather the enactment of the Omaha Beach landing and the other battle scenes. The techniques employed by Spielberg to film these made it seem so realistic that it was almost like being there. It affected both Cathy and me as no other movie ever has and we sat in the theater after it was over in stunned and silent amazement and awe thinking, "How were they able to do that?" We were subsequently fortunate enough to travel to Normandy where we actually stood on Omaha Beach. It was one of the greatest experiences of our lives but it was not what I had expected. The people there were swimming, sunbathing and just enjoying God's great outdoors. In that place where the blue Atlantic turned red with the blood of our soldiers on D-Day, there were still some concrete bunkers/gun emplacements visible, but for the most part it didn't look any different than a thousand other beaches in the world. This initially offended me and I thought, "This is sacred ground! They should not be doing that here!" From there we went directly to the American Cemetery located above the beach at the place where the first American liberator made it up off the beach. (Cathy is pictured below in that cemetery.) It is a beautiful place and to this day there is a sense of reverence abiding there that is almost palpable. 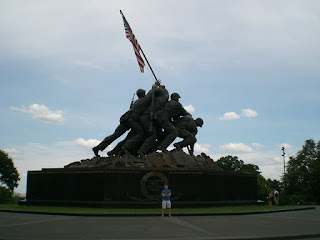 To see and stand upon that sacred ground is a humbling and inspiring thing and it drives home what Memorial Day is all about. In closing I would offer that American patriots who do not die for their country on the battlefield are still called to give their lives for her. By living for her! This is very hard to do because it requires creatures who are by nature self-indulgent, living in a land where so much is readily available, to practice the kind of self-sacrifice so profoundly exemplified for us by our fallen loved ones. In many ways this kind of living can be more difficult even than dying. It still bothers me that people swim and play on the hallowed ground of Omaha Beach. But I have been able to accept it by remembering that those who stormed that beach and gave their lives that day were doing so in order that people everywhere might go to the beach without fear and live their lives in peace and freedom. But I couldn't help but wonder, "Do those beach-goers remember them?" Do we? Memorial Day is the time each year for us to make sure we do. There are so many people in America today who are like I was: Indifferent. Taking freedom for granted. I am convinced that this condition represents the greatest threat America has ever faced. My prayer is that Memorial Day and all of our patriotic observances throughout the year, will serve as reminders to us all that the cost of freedom is eternal vigilance. What this comes down to in practice is simply doing what is right because it is right, day by day. (Simple but not easy!) I believe this is the best way we can truly honor the sacrifice of our fallen heroes and that it is really the only way to ensure that their sacrifices do not ultimately prove to have been in vain. Thank God this is not a battle we must necessarily fight alone. I am glad to say that we are helping one another in this struggle through Macon County Patriots. If I had it in my power to do so, I would require that everyone who has not been in combat be required to watch those scenes from Saving Private Ryan. Maybe it wouldn't affect others the way it did me. But, then again, maybe it would. 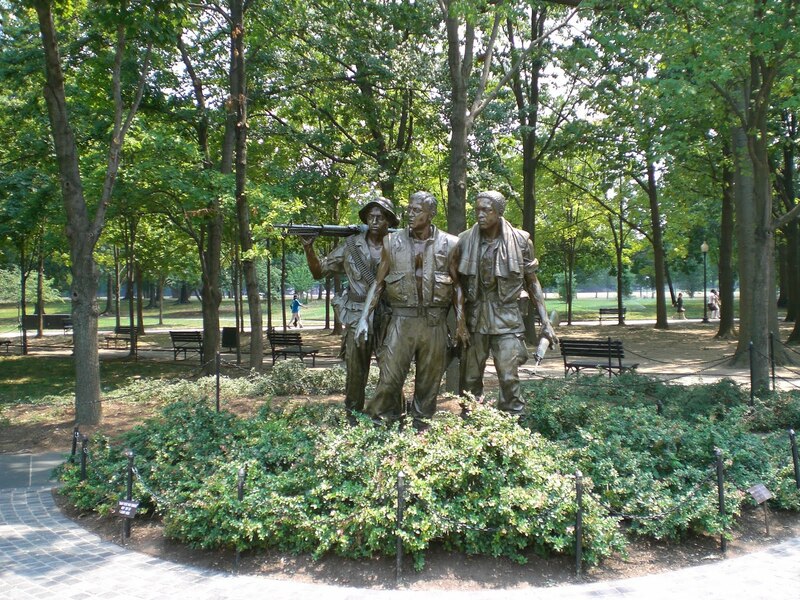 The next Labor Day after seeing the movie, and every one since, I have stood and removed my hat and held it over my heart when the old veterans leading the parade have marched by me. I also now try to attend Memorial Day and Veterans Day observances because I don't believe we can thank them enough. This year as every year, there will be Memorial Day observances in many communities. There will almost surely be one near you. Since we are not meeting this month, may I suggest that instead we each plan to attend one of these? 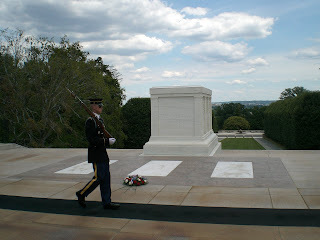 My prayer this Memorial Day is that we may all have opportunities to honor the fallen and to thank a vet. And that we will not fail to do so. PS: I might have saved myself a lot of writing by simply reprinting here Lincoln's Gettysburg address, still so relevant today. Here it is.